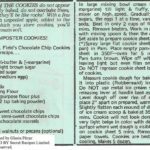 Even though these cookies do not appear to be completely baked, do not over bake them or they’ll be like rocks by the 2nd day. Cookies will remain soft in a covered container by adding a few slices from a fresh, unpeeled apple. 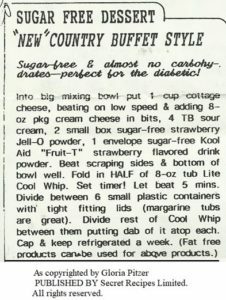 In large bowl, cream butter (and/or margarine) with electric mixer on high speed until light and fluffy. Gradually beat in the sugars, eggs (1 at a time), vanilla and baking soda. Add in only 2 cups of the flour, beating for 5 minutes. Remove beaters and work in remaining flour with sturdy mixing spoon, stirring in chips and nuts last. Using a 1/8-cup scoop, place dough balls 2 inches apart on a warm, prepared* cookie sheet (see instructions below), slightly flattening each mound with the back of the scoop. Bake at 350°F for exactly 12 minutes. [Note: Cookies will not look done – very light beige color with definite cracks where wet dough is visible.] Cool on the cookie sheet for 5 minutes before removing carefully to place on paper towels. 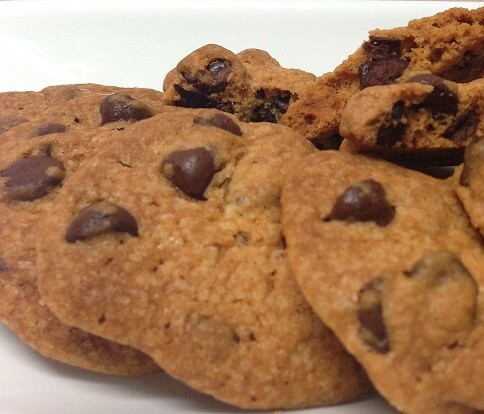 These cookies are best after 4 hours of cooling on the paper towels…but, who can wait that long?! *To prepare cookie sheet: spray it with Pam and place it in a 350°F oven for 5 minutes or until Pam turns brown. Remove pan and wipe with paper towel, leaving a light, but even, film on the cookie sheet. Do not re-grease between cookie batches. In California, the only word in candy is the famous See’s Candy. If you like their fudge, then you’ll love this make-alike version! In top of double-boiler, over gently simmering water, melt the butter and chocolate chips, stirring until smooth. Remove from heat and beat in eggs with portable electric mixer on high speed. Beat in powdered sugar a little at a time, until smooth, then add vanilla. Pour into greased 9-inch square pan. Chill a few hours until firm enough to cut into 36 squares. Blend until smooth and frothy. Makes 3 heavenly drinks! My original version had a dozen ingredients. Look at how I shortened it! Still, the results are identical! 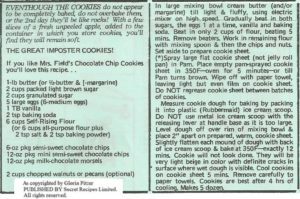 An interesting note on the popularity of these cookies… A few years ago, [around 1980], I received a letter from Dr. Joyce Brothers, in which this was the only recipe she requested. I sent her the longer, from-scratch version. I hope she has a chance to try this version. One thing I noted about the original cookie is that it has a “sugary” consistency to it. It’s almost like a confection. 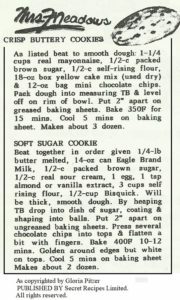 When Amos, himself, was interviewed in Family Circle magazine a few years ago, he offered them the recipe for making his kind of cookie at home. 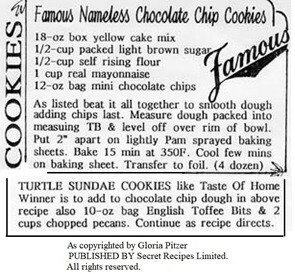 I tried that recipe 3 times and it was NOT one bit like his famous cookies. 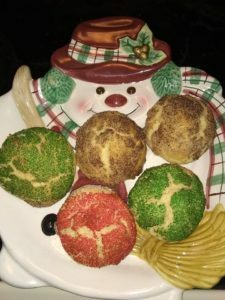 To be like his product, the cookie must be firm, a little crisp, but not dry, and have a definite brown-sugar-flavor and crunchy-texture to it. You can add chopped raisins to the finished batter and you can double the chocolate chips – but do be sure, if you are imitating the original product, that you include some pecan halves, as well as chopped pecans, for these really “make” the cookie! Mix the dry pudding powder with the dry cake mix in a roomy bowl. Combine thoroughly, using a slotted spoon or large meat fork. 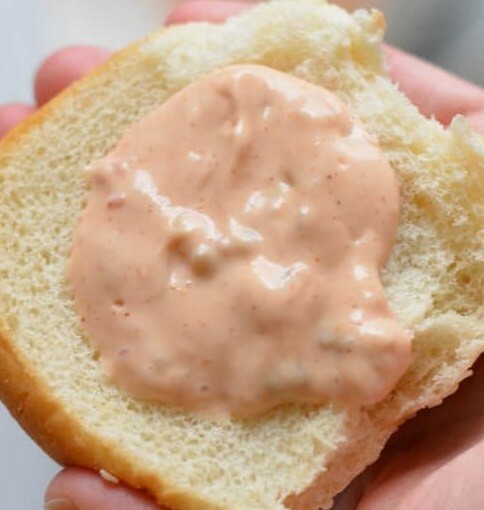 Then, mix in the mayonnaise; but, don’t use an electric mixer! When well-blended, add the chips and nuts. Drop by rounded spoonful, 2 inches apart on an ungreased cookie sheet. Bake 12 to 14 minutes at 350°F. It’s important to permit the cookies to cool at least 2 minutes on the baking sheet before moving them, carefully, to paper towels to continue cooling. These are very fragile while warm but tend to firm-up while cooling. Keep at room temperature in a tightly covered container for up to a month! They freeze poorly. Note: If weather is very humid, you’ll note that these become quite limp if they stand out, uncovered, for any length of time. If you store the cooled, firm cookies in an airtight container they should remain crisp despite humid weather. Add, to chocolate chip dough (above), a 10-ounce bag English Toffee Bits and 2 cups chopped pecans. Continue as recipe, otherwise, directs. I hope everyone will take, at least, a small amount of time today and these next “12 days of Christmas” to remember all of our service people who can’t be with their own families during these holidays, as they give of themselves to protect us and heal us. This is such a wonderful and magical time of year! While there are still those with a “Bah-humbug” attitude, I come across a lot more people, lately, who are spreading more good cheer than bad cheer. Mom used to tell me, “the most valuable gift you can give is to be a good example!” This time of year seems to bring out the best “good examples” in most of us. 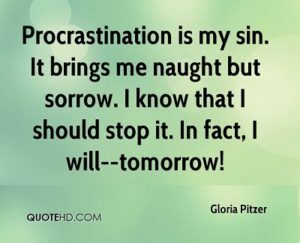 It’s contageous and seems to flow right into the new year. More people are volunteering their time for “good deeds” and helping out those in need by donating money, coats, toys and more. Generous “Santas” are paying off strangers’ “lay-aways” at different stores across the country. I just wish the giving of ourselves lasted all year long! Some will blame their “Bah-humbug” attitude on the commercialism of the holiday, with marketing “experts” advising stores to start putting out their Christmas stock (right along with Halloween) in September! Then, as soon as Halloween is over, people start hearing Christmas music on the radio stations and stores’ PA Systems around the first week in November. Not to mention the seemingly month-long “Black Friday” event. 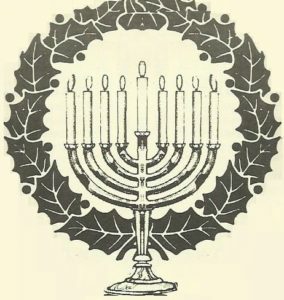 By the time the actual “12 days of Christmas” start (on Christmas Day), we’re burnt-out on the “must-haves” that commercialism has pressed onto the public; while the true meaning of the season gets lost in the chaos! 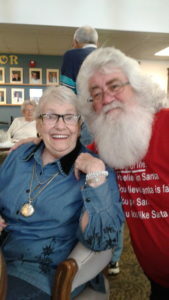 Personally, I have tried to pass on Mom’s attitude to my own children, as she did to me… the importance of the personal gatherings over the tangible gifts and, especially, the giving of the best of ourselves – without expectations of reciprocations of gratitude – because that’s what true “Santas” do. My kids never learned “there’s no such thing as Santa Claus”, because I taught them something different, from the times they were each little – similar to The New York Sun’s answer to Virginia – how the spirit of “Santa” lives on in each of us through selfless acts of giving from our hearts. It is with this kind of selflessness that we actually receive our own true gift – one that can’t be bought or even price-valued – the gift of LOVE! And, with that, there will ALWAYS be a Santa Claus! On that note, I leave you with this image of the classic Christmas Eve poem, ‘Twas the Night Before Christmas, by Clement Clarke Moore [first published on Dec. 23, 1823 in the Troy Sentinel newspaper in upstate New York], as seen at http://www.nightbeforechristmas.biz/poem.htm. 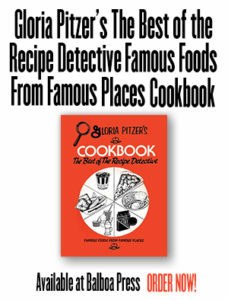 Note: this particular slaw recipe was not included in Mom’s last cookbook, “Gloria Pitzer’s Cookbook – The Best of the Recipe Detective”, published by Balboa Press (January 2018, 1st Printing) – a re-write by me, Laura Emerich, of her famous, self-published book, “Gloria Pitzer’s Better Cookery Cookbook” (May 1983, 3rd Printing). 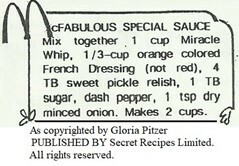 However, other wonderful slaw recipes and a special “Coleslaw Secret” can be found in this book on pages 38-39. Merry Christmas to all and, to all, a good night! 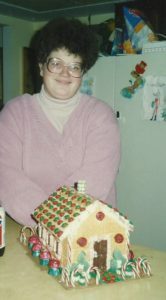 Mondays & Memories of My Mom – Making Memories with a Christmas Cookie Exchange! Once again, happy Monday to everyone! If you’re new to this site and this blog, let me introduce myself. 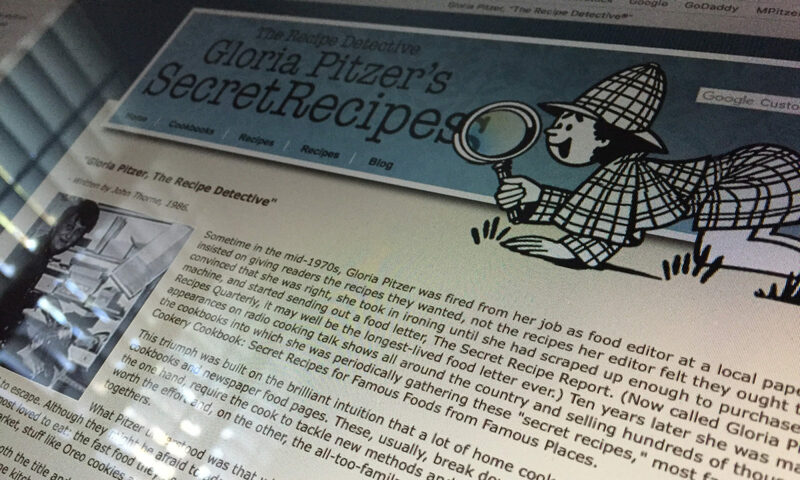 My name is Laura (Pitzer) Emerich and I started this blog to honor my mom’s legacy as the ORIGINAL Secret Recipes Detective – Gloria Pitzer. 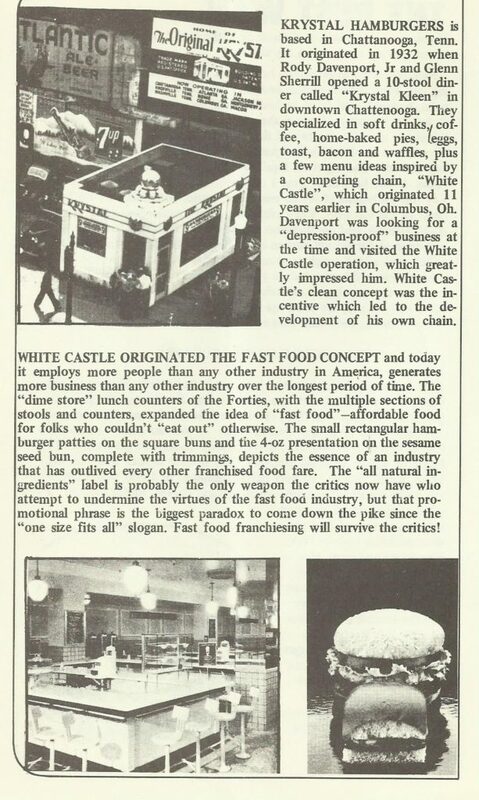 Since the early ‘70s, Mom was “busting” the secret recipes of the fast food industry, as well as some “fine” restaurants and grocery products too! 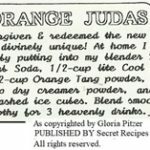 As I mentioned in my last blog, “Imitation”, Mom never really knew their exact recipes, but she could imitate them very well!!! 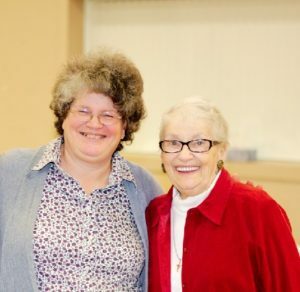 I’ve been writing these weekly blogs, about the many wonderful memories I have of Mom as I was growing up, since this past September. Shortly after starting these blogs, I decided to include one of Mom’s recipes with each one. 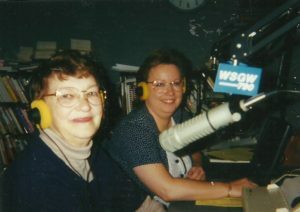 For the 35-plus years that Mom “worked her business”, she offered (in exchange for a SASE) a sheet of free recipes, along with information on how to order her currently (at that time) available self-published cookbooks, as well as how to subscribe to her newsletters; which were published monthly in the beginning, then bi-monthly and quarterly until she permanently retired. 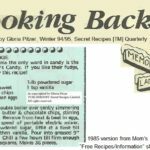 Five weeks ago, I shared another blog, “Time to Make the Cookies”, regarding cookies as they related to some of my memories of Mom, and including her make-alike version of one the Famous Amos cookies (with an alternative option.) 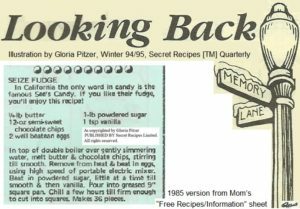 Rather than repeating those memories, here, with these Mrs. Fields make-alike cookie recipes (below) that Mom also gave out for free (merely asking for proper credit when shared), I thought I’d write about making a new memory. While surfing the internet around Thanksgiving time, I came across a Martha Stewart link, “8 Steps to Hosting a Cookie Swap”. I hadn’t participated in a cookie swap/exchange since my first two kids were toddlers (in the late “80s!) Anticipating the coming of “the final push” to get all my Christmas cookies made in time for holiday visitors and last minute gift-giving, I planned my first (hopefully annual) Christmas cookie exchange party with some of my girlfriends, who also hadn’t participated in any such event in a long time, if at all. While Martha’s ‘8 Steps’ was a great source of inspiration, I added some of my own ideas too! I started (as in Martha’s ‘Step 1’) by inviting people. I created a private “event” through my personal Facebook page and invited about 18 girlfriends that were nearby and whom I knew (or thought) liked to bake and socialize (not to discriminate against my male friends who also enjoy baking, but the perk was for female bonding time.) Although, one friend’s “significant other” popped in to share some male bonding with my husband while all of us ladies “cackled” amongst ourselves; which was perfectly fine. Martha Stewart’s link suggested inviting up to 8 friends; but, having hosted other types of parties over the years, I knew that only one-third to half of invitees actually come. So, I invited 18 friends and about 8 people RSVP’d that they could come. Hindsight being foresight, next year, I will probably, also, “snail-mail” personal invitations because not everyone (in my generation) knows about Facebook created events; plus, it’s something tangible that they can hang on their refrigerator or calendar as a reminder. On the event page, I asked everyone to post what cookies they were thinking about bringing (as in Martha’s ‘Step 2’), so we didn’t end up with 5 people bringing the same type. I suggested everyone bring 8 dozen cookies – no matter how many people actually come, I posted, if you bring 8 dozen of the same type, you’d be taking home 8 dozen of a variety. The more that come, the more of a variety there will be. I also asked that they post their recipe there, on the event page, (or email or text me a copy) so I could print out the necessary copies for everyone attending (instead of them making their own copies, not knowing how many copies to actually make.) However, only a few shared their recipes on the event page or texted me a picture of it in time for me to copy them for everyone. Instead of making display cards or having everyone make multiple copies of their recipes on cards (as in Martha’s ‘Step 3’) for the cookie table, I bought little “brag books” from my local Dollar Tree store. I found and printed out a cute little cookie jar graphic to put in the cover’s picture window on each book. 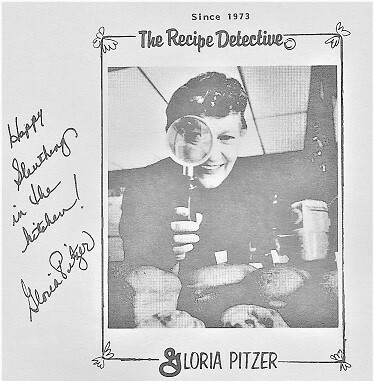 Then I printed out copies of the recipes that I had received before and at the party, inserting them into the pages of each book – for everyone to each take home from the party as a memento and, in which to continue collecting other cookie recipes. On my party prep checklist, I forgot to list ‘creating a packaging station’ (as described in Martha’s Steps 4 through 7) for wrapping up all the dozens of cookies that everyone was going to take home. I was going to buy things at the dollar store for this; but I didn’t write it down and, then, was distracted by the crowd at the store, and just wanted to hurry and get out of there with my “brag books” and “door prize” picks. Fortunately, some of my friends must have anticipated this – one brought special Christmas trays on which everyone could to take home their cookies and some others pre-wrapped their dozens of cookies in decorative bags and tins for easy grabbing! Also, not listed in the “8 Steps”, I decided to offer a few “door prizes”. Martha did make mention of voting on a favorite cookie during the test-tasting, but I was debating between having a few cute, little shower-type games for us to play or just drawing a few names from a hat (or something like that.) In the end, because the socializing was going so well and I didn’t want it to stop, I just had my husband draw 3 names out of a bowl containing all the names of the ladies who showed up; and each of those 3 ladies went home with an extra little gift bag from me. Unfortunately, it didn’t dawn on me until after my first friend left and others were getting ready to do the same that I should have been taking pictures of everyone and their wonderful baked goods! I did get my husband to take one picture of all of us before anyone else left, which I could immediately send to everyone through my Messenger App. Note-to-self: next time, delegate (in advance) someone to be “the photographer”, which wasn’t in the 8 Steps either! Anyway, I hope I created some special new memories for my friends. I know I will cherish the memories of that day, myself, flaws and all! In fact, I am really looking forward to doing it all again next year! *Special note: I used a 1/8-cup scoop to ball up my cookies and I had about 50 cookies. 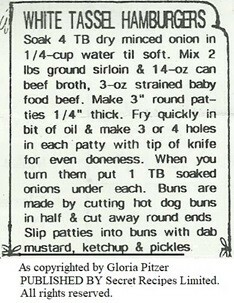 This recipe says it yields 2 dozen…it should be 4 dozen.